Accordingly, NHAI issued the Provisional Completion Certificate to the company and declared the project fit for entry into commercial operation as on September 10, 2018. Shares of Dilip Buildcon gained 4% on Tuesday after the company completed rehabilitation and up-gradation of NH-18 (New NH-40) from 108km/850km to 160km/200km (Rayachoty to Kadapa section) in Andhra Pradesh. Accordingly, NHAI issued the Provisional Completion Certificate to the company and declared the project fit for entry into commercial operation as on September 10, 2018, the company stated in the press note to the exchanges. "Consequently, the company is entitled to a maximum bonus of Rs3.56cr in lieu of earlier completion (60 days prior to the scheduled completion date) of the said project," the company added. 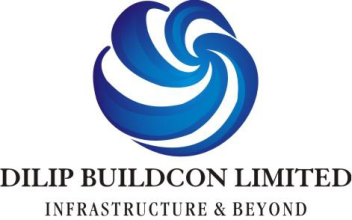 Dilip Buildcon Ltd's share price is currently at Rs366.75, up by Rs12.3 or 3.47%, from its previous close of Rs354.45 on the BSE. The scrip opened at Rs360.25 and has touched a high and low of Rs371.85 and Rs360.25, respectively. So far, 2,92,591 (NSE+BSE) shares have been traded on the counter. The current market cap of the company is Rs4,847.80cr.